Both forms of diabetes impact the bodies’ relationship with food, glucose levels and cause high blood sugar. But while individuals with type 1 diabetes lack the ability to produce insulin, type 2 diabetics have become insulin resistant. In other words, their body can no longer effectively use the insulin the pancreas produces. As a result this disease has been termed “adult onset” diabetes, impacting over 100 million individuals around the world each year. Once diagnosed, this condition requires lifetime management and monitoring, which has become easier with the wide range of type 2 diabetes treatment options. 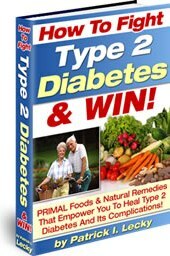 See this post for more on lowering blood sugar levels naturally as a prevention or treatment measure. Early detection is one of the most effective diabetes treatment options for adults, and can prevent or delay the onset of type 2. In most cases, the person is asymptomatic or the warning signs are benign – and are often dismissed as nothing. Yearly blood screens that include a fasting blood sugar test or (FBS) are the easiest way to detect a condition called pre-diabetes. The result range will fall between 100 and 125 ml/dL, indicating blood sugar levels that are higher than normal, but too low for the diagnosis of diabetes. This post goes over all the various normal blood sugar ranges. These treatments either alter how glucose is stored, the production of insulin by the pancreas or how the body breaks down simple and complex carbohydrates. Before choosing an medication, make sure to discuss all aspects with your healthcare provider – including advantages, effectiveness, method of administration and side effects. Compared to type 1, there are a wider range of type 2 diabetes treatment options available for adults. The use of prescription medications, diet and exercise can help maintain normal blood sugar levels, and prevent the increase of risk factors and complications associated with this disease. « How are Non Fasting Blood Sugar Levels Tested?